Hair fall, one of the most common issues, we all face in our life is actually growing worldwide every day. There are two conditions for hair fall, either it’s happening just occasionally due to natural reasons or it is being persistent over time and making you look bald. Moreover, with sedentary lifestyles and increasing stress levels, the number of men and women going in for hair treatments are increasing. But that does not mean all hope is lost. If you’re concerned about hair loss — and that’s a justifiable concern — do not attempt self-medication, and head to a dermatologist instead. But remember, losing around 100 strands of hair every day is normal, so don’t fret if it’s around that number. Your lifestyle affects a lot of your health. Treatments for hair loss include medications, surgery, laser therapy, and wigs or hairpieces. Your doctor may suggest a combination of these approaches in order to get the best results. The primary goals of the treatment are to promote hair growth, slow down the hair loss or hide bald patched on the head. If your hair loss is caused by an underlying disease, treatment for that disease will be necessary. This may include drugs to reduce inflammation and suppress your immune system, such as prednisone. If a certain medication is causing the hair loss, your doctor may advise you to stop using it for at least three months. Minoxidil is a liquid or foam that you rub into your scalp, twice a day to grow hair and to prevent further hair loss. It may be used by both men and women. 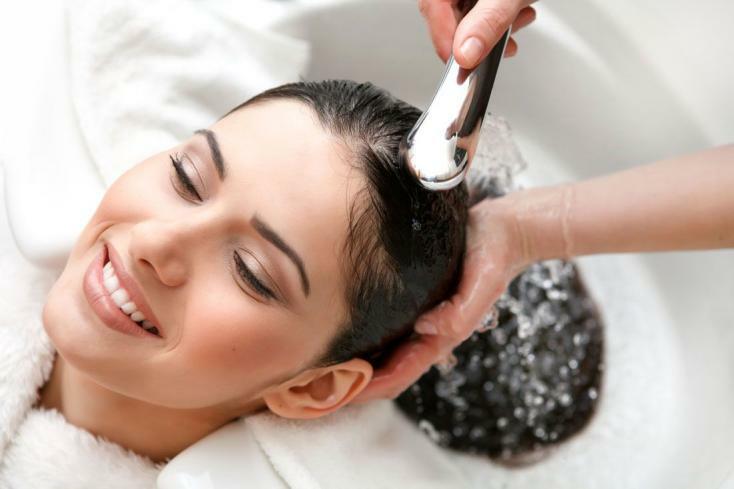 With this treatment, some people experience hair re-growth, a slower rate of hair loss or both. The effect peaks at 16 weeks and you need to keep applying the medication to retain benefits. Finasteride This prescription drug is available only to men. It’s taken daily in pill form. Many men taking Finasteride experience a slowing of hair loss, and some may show some new hair growth. You need to keep taking it to retain benefits. Furthermore, in the most common type of permanent hair loss, only the top of the head is affected. Hair transplant or restoration surgery can make the most of the hair you have left. Apparently, surgical procedures to treat baldness are expensive and can be painful. Some of the possible risks that have been noted so far include infection and scarring. Currently, variety of creams, oils, gels are offered externally along with some methods, such as hair grafting, scalp expansion; however, results are unsatisfactory with unnatural look. In today’s jet age, people are more inclined towards finding for permanent solutions rather than opting for choices that require on and off visits to the doctors. Thus, application of stem cells stimulated with autologous PRP can rather be a reasonable option that can provide visual improvement in hair restoration, texture, strength and growth. As a principal rule, autologous platelet rich plasma is the richest source of growth factors, which are responsible for stimulating resident stem cells to divide and regenerate rapidly into desired cells. Thus, technology of exploiting stem cells isolated from autologous sources such as adipose tissue, stimulated with your own platelet rich plasma has shown promising results in regulating immune system, hormonal balance, production of new hair follicles and thus improving hair texture and strength.